Supercars will hold its official Gold Coast 600 launch this morning, revealing key details for the October 20-22 event. CEO James Warburton will be joined by Queensland Minister for Sport Mick de Brenni and Gold Coast Mayor Tom Tate to make a major announcement. Today will also reveal the headline acts for the event’s Friday and Saturday night concerts, with the major artists in attendance. Other attendees for the launch include Gold Coast-based drivers Fabian Coulthard (Shell V-Power Racing), Chaz Mostert (Supercheap Auto Racing), James Courtney (Mobil 1 HSV Racing) and Will Davison (Tekno Autosports). 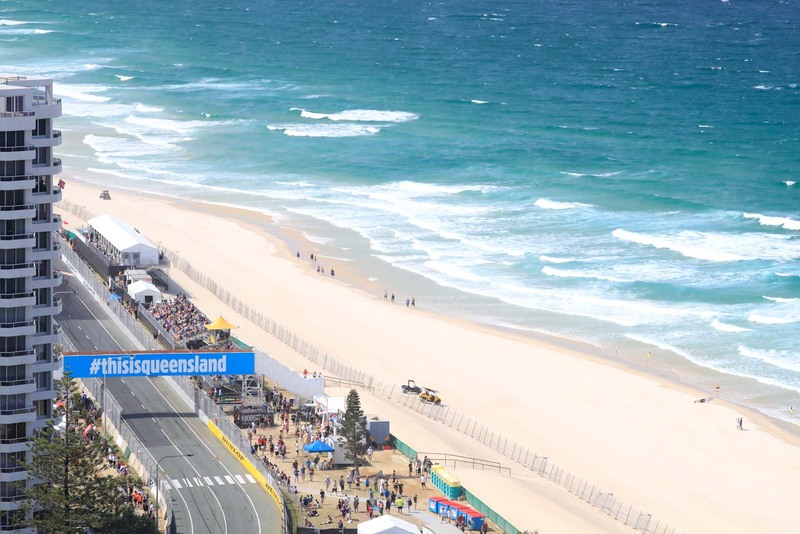 This year marks the 27th running of the Surfers Paradise street event and the ninth since Supercars took over top billing. It will again mark the third and final leg of the PIRTEK Enduro Cup which also takes in the Sandown 500 and Supercheap Auto Bathurst 1000. Last year saw Triple Eight split the honours on the Gold Coast, with PIRTEK Enduro Cup winners Shane van Gisbergen/Alex Premat winning on Saturday and team-mates Jamie Whincup/Paul Dumbrell taking out the Sunday race. Van Gisbergen and Premat will this year be arch rivals in the enduros after the Frenchman’s defection to Shell V-Power Racing. Premat’s slot has been filled by young gun Matt Campbell, who has impressed during early forays in Porsche’s international Supercup series this year.